This is a good time of year to go over some of the do’s and don’ts of lawn care. It may not always be as simple as it seems. You may be falling for some common lawn care myths. If so, your lawn and yard could be suffering. Don’t be afraid to change up some of the things you do in regards to lawn care. Making some easy changes can yield immediate benefits and pay off down the road. All Grass Is Not the Same. The type of grass you have could determine what kind of lawnmower is best for your yard. Large lawns with thick, tough grass require lawn mowers with bigger wheels and more horsepower. Mowing Crabgrass Does Not Mean the Crabgrass is Gone. Mowing crabgrass actually makes it harder to get rid of because it will then start to grow flat and wide, rather than tall and upright. Crabgrass will also generate seeds until winter comes so it’s very important to properly remove all crabgrass. Know How To Water Your Lawn. Having a lawn sprinkler system is a huge plus for your yard and lawn. Yet, it’s very important to know how and when to give water to your lawn. Most lawns won’t need water every day. In fact, most lawns only need an inch to 1 ¼ inches of water per week. 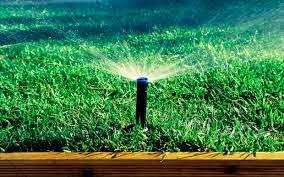 A lawn sprinkler system with a timer can help you regulate your watering with a set schedule for water your lawn. It’s also a good idea to water the lawn in the early to mid-morning hours. Your Lawn Will Need Fertilizer. Every time your lawn is mowed, the lawn loses some of its natural nutrients. Fertilizer helps restore your lawn to its natural state. It’s a good idea to fertilize once in the spring and once in the fall.